God is doing amazing things in our FaithWorks partnership. You might think that statement is hype or sales, and I suppose I really do want you to be excited about FaithWorks, but even an objective observer would have to admit that what’s happening in FaithWorks is pretty amazing. At this point, every FaithWorks congregation is working on a comprehensive FaithWorks Plan. Thanks to Atonement’s Vision Team: Diane Thygeson, Parker Munoz, Barb Elmer, Diane Thompson, Mike Koester, Pastor Denise, and Nathan Burton, (I’m on it, too) for their hard work to date. Our group has really taken the task seriously, and I think we will produce a very good plan. We are tasked with turning our plan in by July 11. At that point, a Vision Team will be appointed by the FaithWorks Mission Council to piece together a plan which we believe will not only change our congregations, but change the very heart of Racine. I know that’s a big statement, but God seems to be moving. That team should complete its task by the early Fall and a comprehensive plan should be available for the review and approval of all the congregations sometime in the Fall. We have applied for a grant from the ELCA to help fund our new partnership. 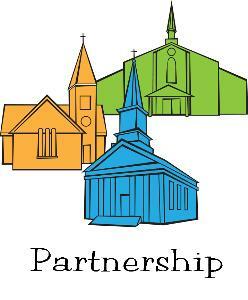 The ELCA has created a grant category for partnerships, largely with FaithWorks in mind. We are stirring hearts and imaginations. We are seeking the grant to partly fund a consultant, Susan Gould. Her task is to help us better develop our FaithWorks partnership, do a feasibility study for a FaithWorks Wellness/Wholeness Center, and create a business plan for that center/collaboration. It also seeks funding for a full-time youth outreach pastor. We don’t know if the ELCA will give us everything we want, but we are hopeful that they will be generous. We believe they will be so, because they very much want our partnership to succeed, grow and flourish. Even Racine’s mayor has written a letter in support of the grant and has offered to help FaithWorks in other ways. Finally, you should know that the Our Savior’s Church Council and the Atonement Church Council have approved the creation of a team of leaders to explore ways in which our congregations can both worship and continue in ministry together. These are exciting times. Keep your eyes open and your ears alert: God is moving in FaithWorks!